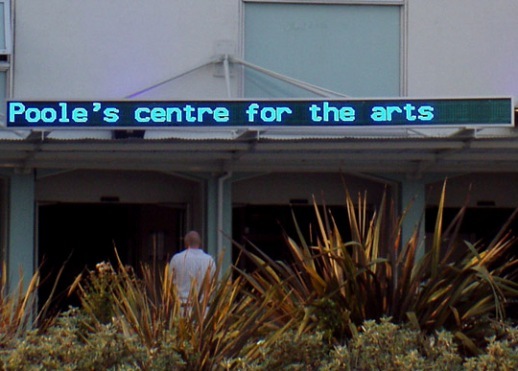 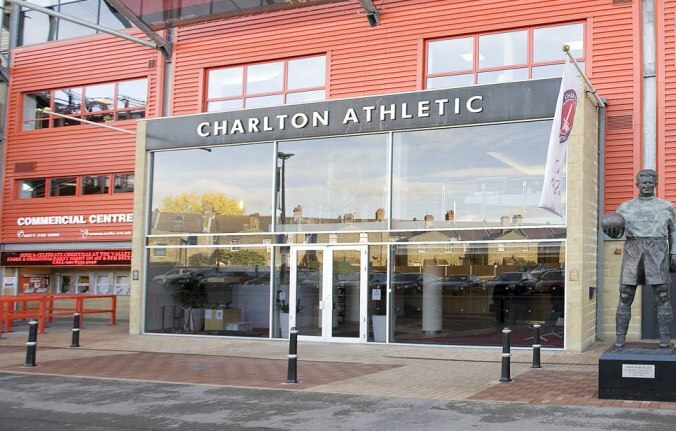 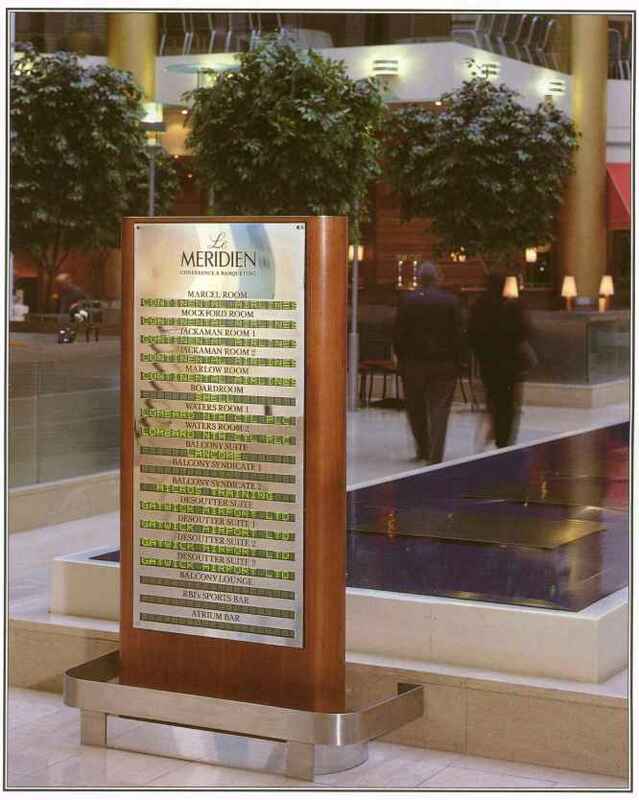 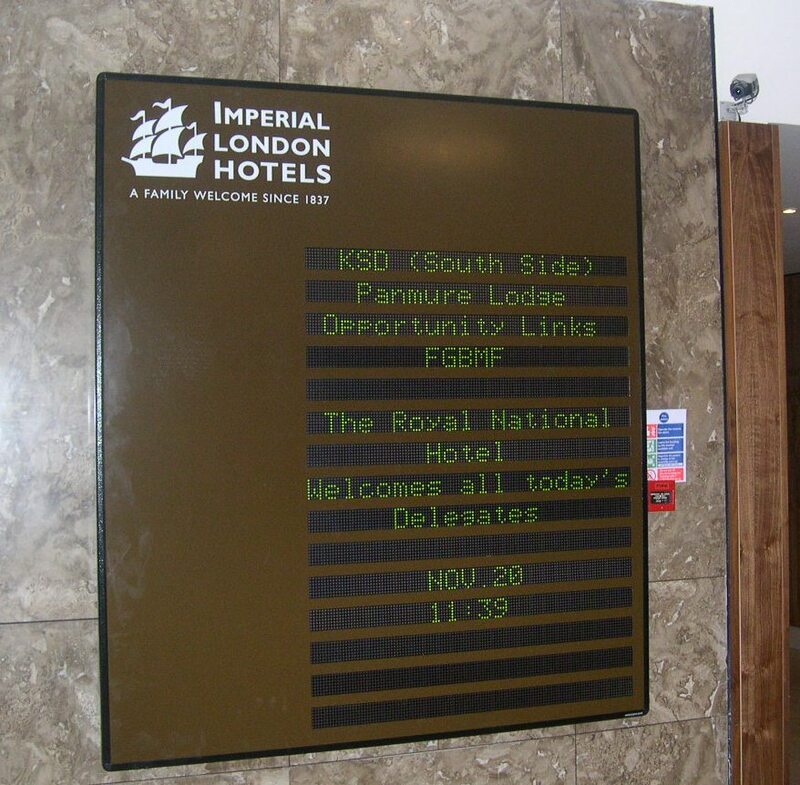 We replaced the previous single line mono-colour amber displays that we had supplied a decade ago with two full colour P10 video screens of 3.2m x 1.6m with 320 x 160 pixels to give sharp video images. 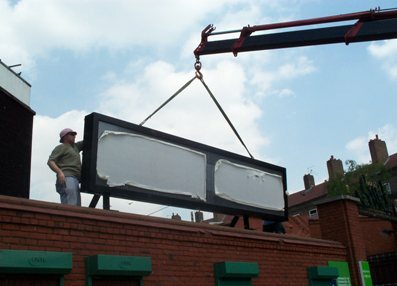 The screens give 8000 mcd brightness so as to be seen in the brightest head on sunshine and then tone down for night time viewing automatically. 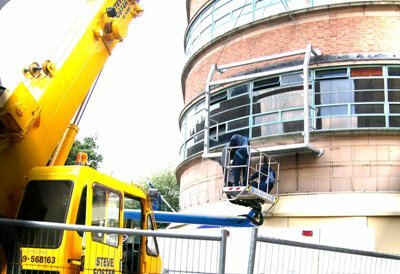 Built to IP68 protection standard to cope with the roughest winters and with front access for easy service. 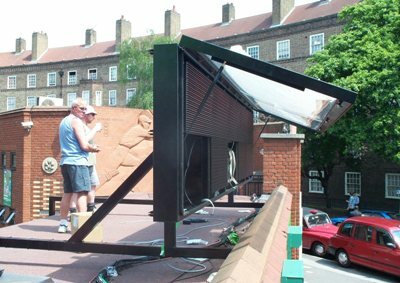 The whole project was designed, installed and commissioned with minimum fuss. 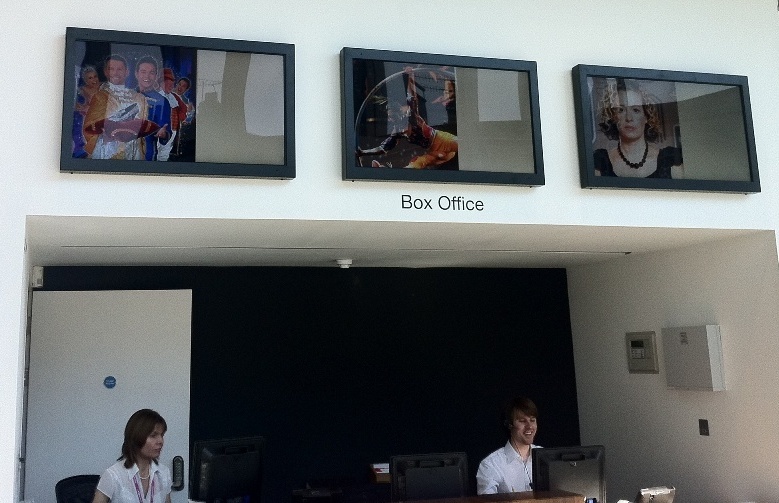 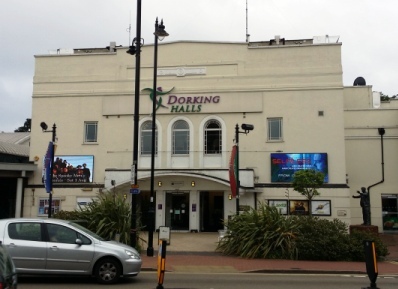 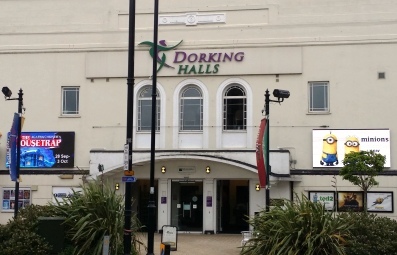 Dorking Halls can now advertise coming shows and events in full video and can dispense with paper posters. 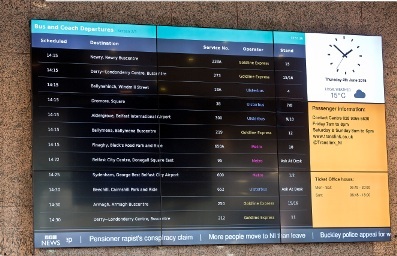 A departure board system utilising our M4 web media system installed at the Translink Bus Terminus in Belfast. 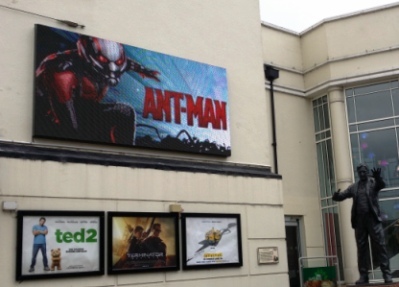 The display board comprises 9 seamless 47 inch (119 cm) ultra slim back lit LED monitors with 450 mcd brightness in a videowall configuration. 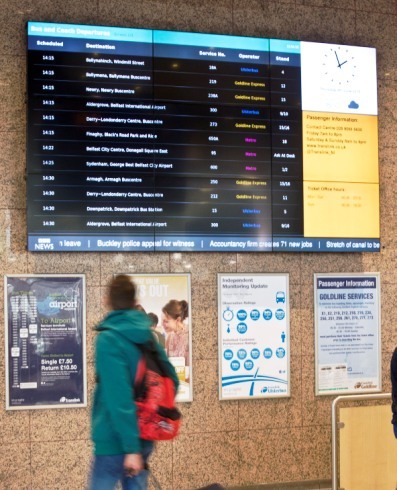 The departures board has 5,760 x 3,240 pixels to enable incredibly sharp video display required for displaying detailed data to passengers. 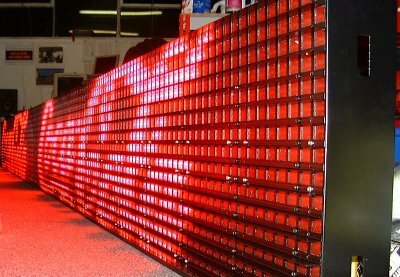 The software allows easy management of bus departure information along with scrolling news and other information.